"Overall a great platform, but there are disconnection issues." I'm in another room with another student. The file upload section is usually very fast and the PDF documents look nice when I'm sharing them with the students. Audio and video are usually decent. When I am working with students in a live session, they often lose connection. This interrupts the flow of their learning, which is unfortunate because they are only on one hour at a time with us and every minute is valuable. I also dislike the eraser feature because it confuses the students. They think it will function as a spot-treatment for mistakes, but it actually erases the whole page. Mathnasium is a math-only tutoring company that serves kids from kindergarten to calculus. Students work with our specialized curriculum to fill in gaps in their math foundational knowledge. Blackboard allows us to work with students virtually and give them the same experience as they would have in-center. This is beneficial to students who live far away (one of our students lives in Belgium! ), whose parents work and don't have transportation, or have medical reasons they cannot physically come learn with us. Blackboard has provided a great alternative to many families, especially those who have lots of after school commitments. I enjoy the ability to be able set up one Collaborate room for multiple courses. Additionally, the ability to share content and the white board helps with visuals. My biggest gripe with BB Collaborate is how it is cumbersome if you do not have it in a course shell. I believe that being able to access it freely would allow it to become more efficient. The learning curve for setting up rooms and sessions is a little more steep than I would like. One of biggest hurdles in implementing technology across a college campus is ensuring that it will be easy to learn. Studies show that overly difficult tech can hinder student performance and faculty buy in. Therefore, having a difficult virtual meeting system hurts the overall mission of providing quality online education. If the users are tech saavy, then it usually is not an issue. However, it can be an issue when working with non-traditional students who have not grown up with technology in the "classroom." Be aware that you this product is best used within the BB LMS for college courses. If you are looking for an external virtual meeting system, then you would be wise to look into something more akin to Zoom or Skype. We're using it to help faculty reach out to their students virtually. The big benefit being that it's integrated within Blackboard. Faculty tend to be hesitant of employing tools that exist externally from Blackboard--like Zoom. Since Collaborate is within Blackboard, faculty tend to gravitate toward it a little more easier. What Virtual Classroom solution do you use? It's a great way do an out of class review session. Students can participate via the chat session so that just the volume is from the instructor which is nice. The instructor can show multiple screens and write in real time or use a mouse to point to things. It's very user friendly as well. Sometimes we have had a few connection issues while having a live review session. The sound will cut in and out briefly as well or there may be a brief lag. However, it hasn't happened much and usually isn't long. I would highly recommend this tool! it's a great resource. It's a very nice way to do a review or study session outside of class time and the instructor can record the session and make it available for students who missed the session to watch later. I like that Blackboard provides a professional platform with Blackboard Collaborate for instructors and students to voice, video, and type chat. I like that I can add in new students so that I can create groups or meet individually with a student. I also like that it is possible to just voice chat or just type chat since I do not always have the opportunity to video chat with students and many students do not wish to video chat. Similar to Blackboard Learn, I find Blackboard Collaborate a bit difficult to use and not particularly user intuitive. I prefer using the Google Hangouts platform, though a bit less professional, because of how easy to use it is for my classes. However, as a student coming into the class, it is easy to use since they can simply use the four buttons at the bottom for video, voice, and type chatting. My main suggestion for those using Blackboard Collaborate is for instructors to get familiar with it before using it in a class, as it can be a bit difficult to start off with. I am teaching online classes and Blackboard Collaborate is providing a way for me to interact with my students in and out of class. One of the most helpful parts of Blackboard collaborate for me with online classes is the ability to schedule meeting times, meaning I can set "office hours" for students to talk to me via video or type chat. "My Experience with Blackboard Collaborate"
Very easy to use. A beginner can practically jump in and figure out how to use this platform on their own. I dislike some of the limitations such as not being able to upload and/or play some file types. Our company also experiences many "hiccups" which cause the participants and moderators to get bumped out of Bb and cannot reenter. Very easy for the users. The curriculum portion seems a bit more difficult to learn how to create initially. Otherwise, a very good platform with many features which allows you to customize it for your needs. Blackboard allows the company I work for to delivery e-Learning courses to a large group of people. Many of these people are brand new to e-Learning and not very tech savvy. Blackboard makes it easy for them to access the coursework and live sessions. This eases much of the anxiety they experience with entering into something unfamiliar to them. "Good, but not quite perfect yet"
Blackboard Collaborate provides an important venue for students who are more introverted but who still want to engage with course content. It allows the deeper thinkers to reveal their advanced observations while serving as a great place for the hesitant learner to develop their responses to instruction. Sometimes the text boxes and other dialogue components within Blackboard Collaborate can malfunction. The student or participant will be typing, video-chatting, or recording, and the box they were using will simply disappear from view. This could be a problem with hardware rather than Collaborate, but in our experience, it has happened frequently. Be aware of its benefits and its potential drawbacks.. Blackboard Collaborate can allow students to use the digital tools that they are native to, but it can also create digital conflicts that require monitoring and moderation by the instructor. The student who might not be as engaged in the "live" classroom is made more comfortable by the degree of separation provided by BB Collaborate. Much like the student who fears eye contact being made more comfortable with glasses, BB Collaborate provides an extra "buffer" that allows students to become more authentic and think out their answers. "Decent product for group collaboration"
It is easy to use and to connect with other members and instructors to view live presentations and each other. Many features to it such as hands up, mute users and share documents with each other. It also records live streaming so that those can't attend or missed the live seminar can catch up by watching the recordings. There is not much to dislike about it. The only thing is you might have to install plug in to be able to use it. There are times we hear echo sounds when someone trying to connect to it. But these are minor issues and the pros overcomes the cons. This product has a lot of features to it. It is easy to use and can be learn within minutes. Just play around it and you will be fine. The nice thing about it is that the host can record the presentations so that it can be viewed later. We are able to connect people where ever they are in the world into one place and interact with each other. We can discuss and show presentations among each other as if we were live in person. "Sometimes fine, sometimes finicky "
When Blackboard Collaborate works, it is easy, and meetings can run very smoothly. It gets the job done.The tablet app worked well for me. Unfortunately my "likes" about this program are minimal. I had a lot of issues with web access - see below. I have encountered numerous glitches when using Blackboard Collaborate and I found it frustrating on many occasions. Launching via web has proven inconsistent and I missed meetings and classes because of that. I have found the audio scratchy and screen shares/presentations and messaging to be basic and bare bones, and not really aesthetically pleasing either.Not fun to use. My biggest grip is the difficulty connecting though, it is not acceptable to miss scheduled conferences due to tech glitches. I am aware that the way I have utilized it and had this experience may simply be because of how the administrators on the other end created the content for the classes or meetings. Nonetheless I really have had extensive use with it, and my experience has been pretty consistent. I would recommend that you confirm that anyone participating in your Blackboard Collaborate sessions has technical requirements and accessibility well in advance in order to avoid problems with this. Does not apply to me - I have not chosen this product to use on my own accord. I have participated in its use many times but never organized a meeting through it. "Overall, a good product for use in meeting and distance learning"
Chat feature is helpful for when video/audio connection is bad or if there are microphone/background noise issues for a particular user. I found that it was particularly well-suited as a medium for lecture-based distance learning. For meeting or small-group based uses, there is some confusion in conducting the meeting with the audio delay that sometimes exists, which has multiple people trying to speak at the same time or weird gaps when answering questions. Additionally, for use in lecture based settings it is almost impossible for any distance learners to hear from the audience who is not wearing a microphone. A VERY good solution for presentations or lecture based activities where there is one main speaker. the ability to record the session for others to replay at a future date is also supremely helpful for non-synchronous participation is particularly useful. "It gets the job done. Most of the time." I enjoy being able to remotely meet with people. It's clunky, first time users have to download and it is not intuitive at all. Like I said above, it gets the job done, but would not be my first choice as a virtual meeting space. Again, it gets the job done, but the set up process in extremely clunky. Not only do the first time users have to download and install things, but every time you set up a new room you have to run multiple things and depending on the browser you're using, it hides it, or pops it out to a new window. It's just not user friendly. We have faculty who use it for office hours, class presentations, online help sessions. collaboration with professors and share documentations. Access to content collection . Can see professor live during lesson times. Can communicate with professor using inbuilt audio features. Can raise hands to ask question using the raise hand feature. Might be difficult to use at first but play around with it and it will become natural. Ensure you have strong wifi or wired connection so that there is no buffering during lesson times. In addition, have a good headset or computer speaker. "a great way to train as a group virtually"
It's easy to use. i love that we can choose if we want to do video or voice. you can also mark up a blank screen to use it as a blackboard and exchange in groups. It comes in handy during classes. if the trainer went on video there was a lot of lag. overall it's a good program it did it's job. I don't really have any complaints. I feel it has been a much better tool than others we've used in the past. Very easy to use and works well in general. it allows a large number of new hires to get trained across the country at the same time. "Blackboard collaborate great for PD online sessions." We use Blackboard collaborate for our online professional development sessions. The ability to have one designated meeting link makes it easy for us to offer varied sessions but only one link. We can share the link easily via emails or flyers. If a person lost the link we have it posted on our website and they can access it very easily. The phone in part is also great for those that do not have a built in mic to their laptop. The ability to record, save and share sessions is a great feature also. It is pretty intuitive to use and very little learning curve. I highly recommend it. That our version it tied to a closed Blackboard course. We have an open source course for their professional leaning community that cannot be ties into collaborate. We still can use it and share links but it is a hang up having to maintain two "courses". It is a very good web based conferencing software that does not require any downloads to use. The ability to have one designated link has allowed us to streamline our sessions. Previous software each session had its own link and this lead to some logistical nightmares. The 12.6 version has all the features you expect in web conferencing (and many you'll never know are there). It is scalable to many users without experiencing any performance issues. The VoIP, app sharing, chat are easy to use and the file sharing, chat, and participants are all visible in the recordings. The web-based SAS system is very challenging (12.6 version). It requires Java which is not that easy to use with the Mac OS. The software requires Java so if you are in managed environment users will need to have someone update Java. If you move over to the Blackboard Ultra (web-based conferencing) it simplifies the user experience but lacks some of the features in the 12.6 version (no breakout rooms, chat and participant list not visible in recordings, etc.). Providing a web-based system (Ultra) is a way for them to improve versus competitors that were offering web-based versions of the software. We really like the LTI integration with our LMS (Canvas). This helps to validate the user profile and is a major upgrade over user, session, and recording management that is currently in the SAS interface. Providing live direct instruction for student blended and online courses as well as just in time support. We also leverage web conferencing for professional learning and district-wide meetings. Schools have also brought in other school sites and community resources into the classroom through the web conference. We are able to increase the availability of instructors outside of the school day, increase peer-to-peer collaboration and reduce travel time and costs associated with meetings. "Long time, satisfied BB customer"
I love the integration of Blackboard products for our K-12 school district. It's easy to send messages through a variety of mediums with a simply click. As a one-person shop, it saves time and effort. As BB has continued to buy up other products on the market, they need to ensure they are delivering the best in customer support for all of those products. Sometimes, it's been difficult to get a timely answer on more complex questions. I would highly recommend BB and it's line of products to any school PR practitioner. It's been a great product for us and I'm continually impressed with their updates and solutions. They absolutely "get" the demands of multiple audiences and the methods by which to reach them. We use BB for all of our mass messaging solutions in schools and as the district on the while. It's user friendly, quick to use, and the day-to-day customer support is spot on. We see BB as a true solution for our mass messaging needs. Ease of interface, ability to connect directly from Blackboard: if you already use the Blackboard platform faithfully, you'll appreciate the ability to be "centralized" and not have to go to multiple platforms. The program seems as though it is still evolving: it has the Blackboard "brand name" that makes it of course appealing to educators, but it does not have all of the sophistication of its competitors. In addition to Blackboard's wonderful features like Journals, Self & Peer Assessment, and Discussion Boards, here is a way to have a more authentic interaction with students. The "Join Room" indicator is very clear, which is an improvement upon the above-mentioned tools: I have actually had students submit work late because Blackboard does not have a clear button, for example, to submit a journal: the words "Create Journal" are actually the upload link, but that is not intuitive. Blackboard Collaborate seems to be much more user-friendly! "Great collaborate web conferencing tool"
This tool makes it very easy to have a fully-engaged audience without being physically present. The many tools and features Collaborate offers help diminish the disconnect that sometimes can appear when performing an online conference or class. It's very easy to use, making it a good option even for people who've never used it before. You must have a strong internet connection for this to work as well as it should. If you live in remote places without a stable internet connection, this might not be the tool for you. I can conduct training with employees across the country using Collaborate, which significantly reduces the expenses of face-to-face training. It allows me to provide more professional development options to employees without spending a lot of money. "An Awesome Product with Multiple Uses"
I think the best feature about Blackboard Collaborate is that it integrates with email, so you don't have this completely separate entity you have to constantly check for updates on. Blackboard will notify you when you have updates, added assignments, or messages. The live class function can be pretty glitchy at times. Sometimes the PowerPoints uploaded won't work, will stall out, or will work on your end, but not the students'. That can be frustrating when you are managing an entirely online class. If you plan on using the live component often, you may want to look into other products as well. As far as what other functions Blackboard offers, it's great product. Blackboard allows you to put everything in one place. I'm not having to constantly send multiple documents to multiple people. I can upload everything into Blackboard, and everyone can see it. "Solid Web Conferencing Tool for Teaching & Learning"
Easy to use. Browser accessible. Streamlined, clean interface. The redesigned Collaborate is missing some essential tools like file sharing, recording a chat transcript, and a private chat option between instructor & student(s). Consider both the presenter and end user experience. A busy interface is distracting, and more bells & whistles do not equal a better environment. Ask for Bb rep for a roadmap to learn about what's coming. Give feedback often so the platform can improve. Your voice matters! We're able to support virtual office hours, virtual tutoring, virtual meetings, virtual guest speakers, and virtual consulting. Collaborate is a snow-day solution when classes are canceled and support faculty who want to pre-record lectures. "Blackboard Collaborate for Review Sessions with Professors "
When using the software for review sessions with professors, it allows you feel like you're having a classroom experience, but you can be in the comfort of your home! It sometimes takes a minute or two to join the session. Remind students to join the collaborate sessions a few minutes early before the scheduled time, as it can take a few minutes to join. This product facilitates student learning. I very much like the ability for sessions to be recorded and available for reference later. "Great for education with a few blips"
I like how I can interact with my students via video, voice, and chat. Blackboard allows for me to block chat for some or all participants, or to open it up to everyone. There are many ways to customize my experience as well as everyone else's. Sometimes, participants struggle to enter sessions. I also do not like that once I load a PowerPoint presentation, I cannot share video I have put into the presentation, but instead I have to use application or web sharing. Communicating with participants as well as teaching them to present using BlackBoard. "Great if you want a place to collaborate with classmates"
I like that it promotes being able to work on group projects in the digital age and it gives the opportunity to join a class if they are online. What makes it difficult is that if you are working on a group project and would like to use the BB collaborate as a platform to meet, only one group from your class can use it. If two groups sign on at the same time, there is no way to separate the chat rooms. Creating an Inbound Marketing Strategy for a company. "Distance Learning with Blackboard Collaborate"
I like the flexibility of live interaction-- the class can interact via video/audio/text chat, whiteboard, polls. We often use break-out groups for smaller group discussion. The newest update my university implemented removed the small profile pictures of users in the chat interface. I miss that way of feeling more connected with other students. I am able to complete distance learning courses that take place in real time and have the potential to feel nearly as interactive and productive as face-to-face courses. "Blackboard collaborate for conference virtual meetings"
This is an easy to use interface for conference meetings where members are scatted around, even through different time zones. There is not much that i dislike. It allows for participants to 'raise their hand' and also type in the chat box, which some other applications do not have. Great for people who need to connect over multiple geographies and time zones. I work for a teaching company where teachers are located all over canada. when we have monthly meetings, we use blackboard collaborate to connect, over time zones. I like being able to connect with my students immediately through Blackboard. I like that they can interact with me and the lesson. The audio set up is tedious. I wish my headset could be connected automatically. I have to complete the audio set up wizard each time I log in. For conferencing and meetings. Blackboard is ideal. It's good for online high school. Teachers are able to meet with the whole class, a small group or individual students. Conferencing with students is much easier in a classroom setting. I like Blackboard Collaborate from both the student and professor side of things. From the student perspective, it makes meeting with professors substaintially more accessible, whether for an online or in person class. As a professor, I enjoyed that all my courses can be on one collaborate room! There is a steep learning curve that is for sure. I needed to have others help me quite a bit. Once you get the hang of it, you definitely can use it with ease but it does take a good amount of time. Definitely take the time to get very familiar with the platform before commiting to using it 100% especially with students! "Love this platform for my online course experience! " I love being able to teach my graduate course on this platform. Students are able to access my course easily and quickly. We are also able to meet in my virtual classroom on a regular basis and interact virtually. I love being able to access my course and engage with students synchronously and asynchronously. At times when we are in a virtual session there can be glitches including getting kicked out. Additionally, sometimes Blackboard and Java do not work well together. This is frustrating because some Java updates make it difficult to sue Blackboard. Having a place to meet with students synchronously and asynchronously is important and I am grateful to do so through our course platform in Blackboard and my virtual classroom. The interaction and engagement levels are high and always improving. "Online Teacher in School with BBC Platform"
I like how user-friendly BBC is. And I really like how it helps to create a truly interactive virtual classroom. I dislike the fact that there is no way to easily create movable parts in presentations ahead of time. There aren't a lot of stock tools available that are helpful either in creating interactive games, quizzes, activities, etc. I have used SmartBoard for creating presentations for my brick and mortar classes in the past, and I love how the SmartBoard utility provides so many different flash-based options for activities - it would be awesome if BBC did the same. This is the next best thing to live meetings - it moves users away from the awkwardness of teleconferences by allowing them to "see" each other and interact in real and meaningful ways. I work in the field of education, so my focus is always on how to best disseminate information to my students and how to provide opportunities for them to master that information. BBC provides a great platform for virtually reaching my students and providing them the information that they need in a setting that enables them to ask questions and interact and learn. I work at a university with three campuses. This allows us to have meetings without needing to be in the same town. It is kind of hard to set up and we have some issues with sound. Perhaps a trial to make sure your school's technology works with this? I know the sound is bad a lot of times, but that could be our speakers and not the program. With all of the budget cuts this allows us to cut travel and still visit and meet with co workers. "A better Upgrade from their old Rooms"
Collaborate has grown over the years and is almost to a really reliable product. I like that there is now a browser based version and that you can have breakout rooms! The polls, quizzes, and other functionalities have really improved the product. There are frequent needs to update your system at times to allow for this product to run. If you do not have IT privileges on your machine you might have to work with an IT person at your job. The web based version seems to avoid most of these downfalls. The solution really depends on the money you have to implement. Meeting virtually with many other teachers and being able to conduct quizzes/polls. "Great way to connect with students and other workers in Higher Educatioin"
It was easy to hold conferences with others and share websites and documents. Comparable to other programs out on the market, but with the association with Blackboard, it feels more "educational." The software helps to engage online students and make online learning feel more like a real life classroom. With Blackboard Collaborate, it's easy to take learning on the go! Often, the connection would drop and it would take a few minutes for students, or myself, to reconnect to the platform. Moderating questions was often difficult at times, especially if there were multiple questions coming in at once. Most of the issues I encountered were connection related, which is understandable when operating something like this on a college campus with multiple users using the same connection. I would definitely recommend this for someone looking to engage their online students in a way that makes it feel more like a "classroom." It allows you to see your students and have a real conversation with them in real time. It's a great supplement to traditional lecture too if there's a time you cannot meet in class. I used this software to connect with my Peer Mentees in our class when there was an off-week or if there was a week where I felt there wasn't a need to meet face-to-face. This helps me to easily connect with my students and share important information. It also helped to engage them in the topics we were covering (course registration, career exploration, etc.). I liked best about Blackboard the organization of assignments, and that each and every class utilized Blackboard to show what was due, and, at times, what the scores were. I was not immediately familiar with blackboard or that the assignments were largely being put there, and I primarily had planned or had the expectation that the teachers would have shown that first, and not be primarily in blackboard. There were some options to go over assignments and instructions on blackboard that stayed thier for later review as well. "I think BBC is a very useful virtual meeting tool." I like that there are multiple modes of communication (voice, chat, writing on white board), that you can show material in so many different manners (white board, app share, etc), and that is pretty easy to download and get going. The ability to record sessions is great, too! I can't think of anything that I dislike or would want to improve. This product is very easy to use and fulfills all of my needs as a virtual teacher. I am teaching high school math students virtually and have realized that I have most of the same capabilities online that I do in a traditional classroom. "A good platform for remote collaboration/learning"
I like the linear design. Once you are accustomed to it Blackboard is simple to navigate and use. It took me a while to get used to the layout. I always felt like I was missing something. It's a great space for remote work and (particularly internal) webinars or seminars with engagement or feeback involved. Because of some issues logging in sometimes I'm not sure I'd opt for external webinar/seminar usage. The underlying idea of Bb Collaborate is a useful one, and it offers some helpful features to communicate with students who need more individualized attention or who want to hold group work sessions virtually. Bb Collaborate just isn't intuitive. Whether you've used computers for the past 30 years or past 3 years, you'd still have to have a good deal of training to really get the most out of what it offers. Bb Collaborate appears to want to address the personal/interactive opportunities that online learning loses in moving to an asynchronous mode. With Collaborate, though unwieldy, students can view recorded interactions (though recording Skype lessons/group chats via a program like Camtasia) seems easier here than the often laborious setup for Collaborate sessions. I use this software mainly as a participant in national-wide organizational calls. It is so helpful and easy to use. I really enjoy the ability to watch the webinars, participate in surveys in real-time, and review slides alongside the presentation. I'm not sure if the survey icon could be different, but the moderator usually needs to prompt the audience each time to let them know that is the way to participate in the surveys. But other that I don't really have any dislikes with the software. Possibly the overall look could be updated. Being able to connect with members across the nation and be in community. The software is mainly used for webinars, so I really enjoy being able to easily use Blackboard Collaborate to join nation-wide conversations. Being able to "collaborate" with my students in real-time. Not as user-friendly as a system like zoom. This is great for collaborating with students, especially graduate/executive level students who are on the go, professional, or have busy schedules. We can have an active discussion without the burden of being in the same place at the same time! Connecting in real time no matter where the student/instructor is located. It's used throughout campus so it's the best we've got here at Chico State. It is easy to use and has a simple layout. It's easy to check classes and be notified when there is an upcoming test or assignment. I work in the IT department on campus. Blackboard has not been helpful with troubleshooting questions. I would like to see a better customer support system with Blackboard Collaborate. It's beneficial for teachers to keep all grades and work in one place. I have yet to solve any problems using Blackboard Collaborate. 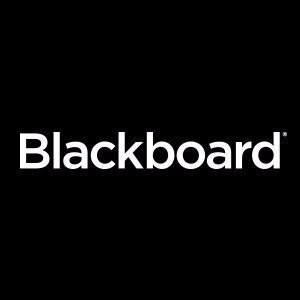 "Administrator and Student rating of Blackboard Collaborate"
By being integrated into the LMS, Collaborate allows seamless conferencing between students an instructors. It also removes the need for students to find an agreeable videoconferencing platform. Unfortunately, Collaborate has a number of drawbacks. First, in their attempt to streamline the tool, Blackboard made it too simple. Many of the options originally in the program are now gone. Additionally, because it has to go through Blackboard, Collaborate is laggy and lacks the immediate feeling of programs like Skype. Avoid it. Look for something not integrated into the Blackboard ecosystem. We no longer needed to pay for an external solution (like webex or Connect). "Good for easy access to extra course materials"
I like that you can add all of the courses you teach or are taking and have access to all of the resources available for the course. You can also upload documents as a student. The site has a poor mobile web interface that is limited. Blackboard is easy to navigate for students and faculty. The menu options are flexible to meet the needs of the class and it is not difficult to upload documents, send email communications and change user roles. The over all look of the site is outdated and messy. It is more functional than aesthetic. Look at the layout of other content management systems compared to blackboard. Some students find it difficult to navigate. We use blackboard as our primary platform to communicate course content for online courses at the university where I work. The benefit is that we have been able to have 100% online programs using this particular software tool. "Nice way to teach students virtually." All of the interactive tools like the whiteboard tools, chat, mic, polling tools. Helps me see my students' work which is especially important in math class. I wish I could have more cameras on at one time and record in breakout rooms. Breakout rooms seem to be the most difficult part for me to facilitate. I'm teaching Geometry to high school students so we work to solve problems based on these standards. It’s nice to have everything spread out for you, things are easy to find. It cans be difficult to find things when they’re placed in folders. It’s nice to be able to speak with people via internet, not meeting up. I wish the links within my powerpoint that I upload would be live links for people to click on while in a session. "Great solution for team work!" I really like all of the features that BBC offers. I love that the students can interact in so many ways, including the chat box, video, mic, whiteboard tools, etc. I don't like how much BBC crashes when we use it. I get kicked out often, as do my students. Also, sometimes the mic lags, and then it makes me sound like a chipmunk! Since I teach at a virtual school, BBC solves a whole world of problems! It's an amazing way for students to interact with their teachers and classmates and simulate a brick and mortar school classroom while working from home. "Great to use for meetings"
I like being able to be in a group, being able to use video chat on there as a group as well. Bugs in the program cause it be to glitchy at times. If you need supervisor help, it is a way they can jump in and help. I like that you can set up your presentation ahead of time and plan it out. Sometimes it freezes - you are in the middle of a presentation with lots of moving parts and it freezes. It is a great program for virtual conferences. * We monitor all Blackboard Collaborate reviews to prevent fraudulent reviews and keep review quality high. We do not post reviews by company employees or direct competitors. Validated reviews require the user to submit a screenshot of the product containing their user ID, in order to verify a user is an actual user of the product. Hi there! Are you looking to implement a solution like Blackboard?